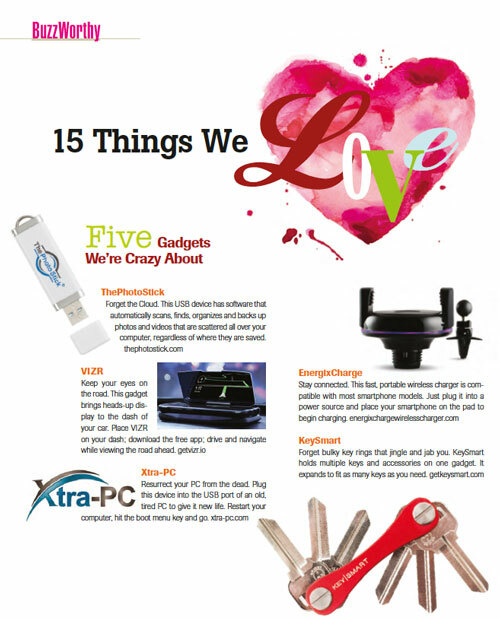 FIVE Gadgets we are crazy about. 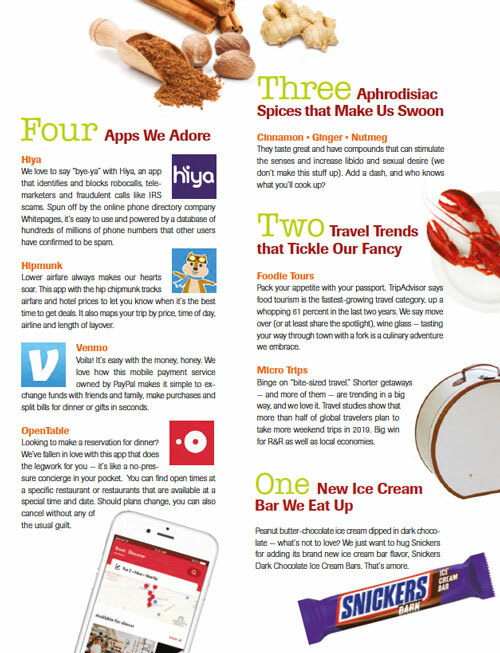 FOUR Apps we adore. THREE Aphrodisiac spices that make us swoon. TWO Travel trends that tickle our fancy. ONE New ice cream bar we eat up. Published on January 1, 2019 in Features, People and tagged front by Kristy Johnson.